We saw Scottish pop/rock guitarist/singer-songwriter KT Tunstall give a joyous performance in tribute to Fleetwood Mac at Fleetwood Mac Fest and we’re excited to see her shine on stage solo when she headlines The Fonda Theatre on Monday, October 3rd. Hear electrifying songs such as “Evil Eye” and “Hard Girls” from KT’s new, sixth studio album KIN. Los Angeles indie rockers Wildling support. Tickets to KT Tunstall are priced at $32.50, doors open at 7:00 pm, and the event is All Ages. You can purchase tickets or try and win a pair of tickets by entering the contest below! First make sure you’re following Grimy Goods on Twitter and/or “like” our Facebook page or Instagram. Next, email ggcontests@gmail.com with your full name for guest list and a clever reason why you want a pair of tickets to KT Tunstall at The Fonda Theatre. When you’re done with your email, send us a Tweet so we know you entered the contest or you can post on our Facebook wall. We’ll select a winner that has done all of the above mentioned. Winners will be announced via email, Facebook and Twitter on Wednesday, September 28th. Winners will have until 10 am, Thursday, September 29th to reply back to our email and confirm their win. FACEBOOK: Just leave a comment on our wall letting us know you entered our contest for tickets to KT Tunstall at the Fonda Theatre Oct. 3! 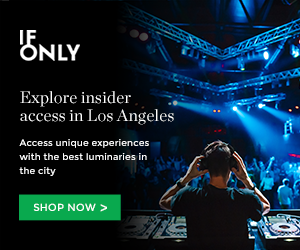 This entry was posted in Concerts & Events, Giveaways and tagged Fonda Theatre, KT Tunstall, ticket giveaway, Wildling, win on September 23, 2016 by Emily Saex.